Imagine an organisation where employees don’t simply work for the paycheck at the end of the month, but instead are willing to invest effort in their work tasks, take pride in the work they deliver and persist despite challenges they may face. This ideal scenario is termed “employee engagement”, a recent buzz word in the business world. But why the buzz? Research has shown that an engaged workforce leads to positive business outcomes. Engaged employees care more and are happier at work, which results in higher productivity levels, increased retention rates, increased innovation and better customer service. Picture a rowing boat with a team of rowers stuck in a river full of rapids and you are the only person rowing. No matter how hard you row, the size of the rapids seems impossible to overcome without the combined effort of the other members. There is no doubt that the current business environment is full of rapids and certainly not smooth sailing. 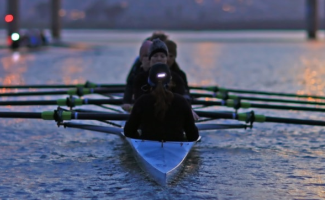 Now, more than ever before, organisations cannot afford to have rowers on board who are simply taking up a seat in the boat and not paddling with all the effort they have. Organisations need engaged employees if they want to survive the rapids. It is essential that an organisation’s leadership understands the importance of shaping an engagement culture in an organisation. A culture of engagement can only be created if leaders have a greater understanding of the key factors that enhance engagement levels. The starting point is to ensure that employees know in which direction they need to row. The first step toward employee engagement is to ensure that your organisation has a clearly defined vision, which will explain the direction in which the business is going. Secondly, employees need to align with the vision. For alignment to occur, the vision needs to be clearly communicated. Thirdly, employees need to understand how their daily work tasks contribute to the organisation’s success. Through strategic alignment, you can ensure that your employees’ efforts are not wasted by rowing in the wrong direction. Our vision at ASL is that we are a dynamic, boutique organisation that embraces organic growth by creating an environment where our people thrive and deliver service excellence. Having a clearly defined vision, allows us to focus our efforts in the right direction. Have you clearly defined your vision and are your employees’ efforts focused in the right direction?